Continuing on from last week, Momoko will again be presenting the special programme ‘Pâtisserie Momochi’. Sadly, it’ll be ending with this week’s episode. Time really did fly past, and she wonders if it turned out all right. It’s almost April, which marks the start of the new school year, as well as the time of the year when graduates enter employment. As such, April is usually considered a time of beginnings and a time when people start on a new life. To those who are exhausted with work or with their private lives, as the pâtissière of Pâtisserie Momochi, Momoko would like to lift your spirits with her sweet and yummy talk. Momoko wonders if the listener wrote his name on the cover. Well, an office worker probably wouldn’t. If that’s the case, he could just go around asking people at the office, ‘My daughter lost her school music notes, it seems that it got mixed with my office documents, might you have seen it?‘, expecting his colleagues to react on the lines of ‘Huh, it’s your daughter’s! ?‘ Although there would still be the risk of them noticing that the contents weren’t written in a girl’s handwriting. Momoko herself doesn’t think that it’s anything to be embarrassed about. If he’s saying that fully getting into the feelings of a teenage girl is embarrassing, then that would be the same as saying that Tsunku♂-san is embarrassing. Momoko: That would be rude to Tsunku♂-san! Tsunku♂-san’s amazing, just so you know. Tsunku♂-san really expresses a girl’s feelings through the lyrics he writes, although Momoko herself doesn’t get it sometimes. Having put himself into the role of a girl, Tsunku♂-san brings his music out to the world, where they become big hits. Momoko thinks of that as something wonderful, so she hopes that the listener has confidence in himself. And if his dreams come true someday and he becomes a renowned lyricist, Momoko would love to perform one of his compositions as well. 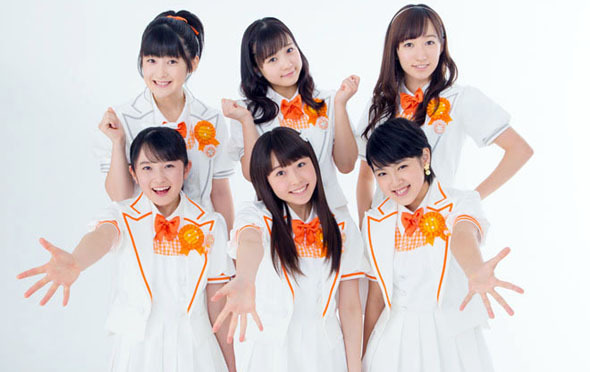 First off, March has two birthday’s to celebrate for Morning Musume. Haga Akane and Oda Sakura! Akane turned 13 on the 7th. Kanon was surprised when she realized Akane wasn’t 13 when she initially joined. When the 9th Generation entered Morning Musume, Kanon had already turned 13, so at first Kanon thought “Oh, I can relate to Akane,” but after realizing she was actually 12, she thought “Wow, she’s so young,”. During lessons Akane seems to be connected to Kanon in some way, although this may be that Akane looks a bit like Kanon. At some point, Erina looked at Akane and said “Waa! I thought you were Kanon,” (or, maybe its just Erina). Akane seems to be the kind of kid that says deep things spontaneously. Kanon wonders where this will advance as Akane turns 13. Next, Oda Sakura turned 16 on the 12th! Sakura is the number one member Kanon goes out to eat with. If there is a night lesson they will often eat dinner together before. Sakura had experience being in Kenshuusei before joining Morning Musume. Although Kanon doesn’t share this experience, she can understand the anxiety Sakura went through when she first joined so they can relate. Kanon states Sakura is an important member because of her great energy. Her great ability to dance and sing make her seem like a genius. She thinks its probably because Sakura works hard to do everything well so the fans can have a good performance to watch. Even though Kanon is her senpai, she definitely looks up to Sakura in that way. Happy Birthday, Sakura and Akane! Momoko: At first, I had no idea what ‘Pâtisserie’ meant, I couldn’t hide my confusion. But she looked it up for those of us who similarly aren’t familiar with French, and she explains that ‘Pâtisserie‘ is French for a sweets or cake shop, a male pastry chef would be a ‘pâtissier‘, while the female equivalent would be a ‘pâtissière‘. Momochi thinks that ‘pâtissière‘ has a nice ring to it. Momochi also notes that Airi had previously hosted her own solo radio show ‘Pâtisserie Airi’ over the past two weeks, which had gone over well with the listeners and Baron-san. The bar has been raised for Momochi, and expectations are high on her. March 14 marks not only White Day, but also the beginning of Morning Musume’s spring concert tour. Maa-chan thinks it might’ve been fun to throw chocolate into the audience at their opening concert to celebrate. Ayumin points out that the problem with this suggestion is that White Day is supposed to be a day when girls receive chocolate from boys, not the other way around. Maa-chan responds to this by saying that the members of Morning Musume are all boys — a claim which she doesn’t elaborate on. Ayumin asks if “game of tag time” is separate from the hour of P.E. that precedes it, and Maa-chan assures her that it is, adding that she thinks she might propose this schedule plan to her teacher. March 7 was Haga Akane’s 13th birthday. Ayumin notes that like Haga-chan, Maa-chan, too, was 12 years old when she joined the group. Now she’s just two months away from turning 16 whereas Ayumin and Fuku-chan are both 18 years old — even this show has been on the air for nearly four years! “Time sure flies by quickly,” Ayumin thinks. Ayumin feels she became a lot closer with Kumai Yurina, starting with the episode of Hello! Station together. She’s happy she got to become better friends with Kumai-san while she still could. 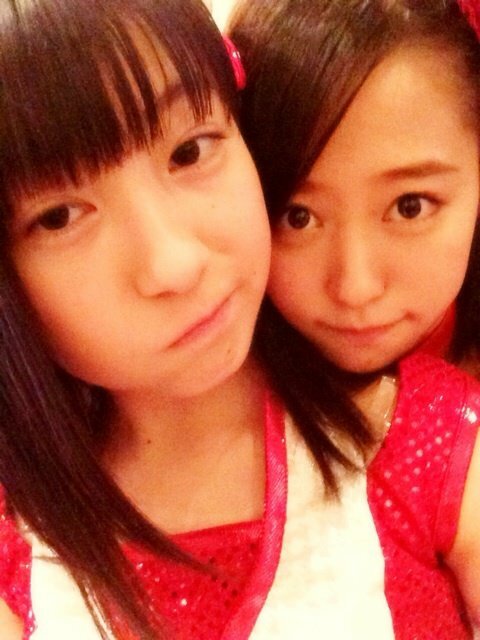 Fuku-chan, too, became closer with a Berryz Koubou member, namely Natsuyaki Miyabi. As for the H!P member Maa-chan became close with on this past Hello!Con tour? Her microphone. Ayumin wants to make sure that Maa-chan has understood the question correctly. Ayumin: The question asks for a member you became close with. Maa-chan: Well yeah, but “…at the last Hello!Con” is also in the question, right? Maa-chan: “Harokon de nakayoku natta haromen wa…” So it could also mean the microphones used by H!P members. Ayumin: No, no it could not. Maa-chan: It doesn’t specifically say it has to be a person. Ayumin: “Haromen!” That means “Hello! Project member.” As in a person. Maa-chan: Hello! Pro… men… that could also mean mentsuyu. Maa-chan: I don’t know! What I’m saying is that it could mean anything! This week is another broadcast of highlights from the recently held public recording of the show. Nacky apologizes to the listeners for how shy she might’ve sounded during the first part: the audience were pretty much right next to her which made her a bit nervous. She gradually got used to during the latter half. The public recording was held only a couple of days after Valentine’s Day, and as you know, Valentine’s Day just wouldn’t be Valentine’s Day without the confessions. Thus, Nacky, Maimi and Mai-chan will take this opportunity to make all sorts of confessions to the members of Hello! Project. Anything goes: doesn’t matter if they’re confessions of gratitude, repentance, complaint, or anything in-between. Mai-chan starts: she has something she needs to confess and apologize about: there are times when she’ll forget all about Nacky’s existence. Nacky just disappears for her: she’ll push her out of the way to get out of the elevator, or cut in line right in front of her. This kind of thing is happening more and more frequently as of late. Mai-chan wants to apologize for this. Maimi, too, has noticed these kinds of unfortunate happenings befalling Nacky quite often. Maimi, on the other hand, wants to confess to Natsuyaki Miyabi. She feels bad for having used her hairspray the other day without asking for her permission. Mai-chan doesn’t think she needs to apologize for this — she uses Maimi’s hairspray all the time without asking her. In fact, the other members of °C-ute often don’t even bother bringing their own hairspray bottles because they know Maimi will have one. The other day, Nacky was sitting in the dressing room with Chissaa who gave her orders like “Nacky, get me Leader’s eyelash curler and Airi’s mascara from their make-up pouches.” Borrowing each others’ things without asking is the norm in °C-ute. There’s a question for Nacky from Fuku-chan: she really loves how Nacky looks with twintails, and she was wondering what her favorite hairstyle on herself is. While Nacky is happy to receive compliments on her twintails look, she herself actually hates how it looks on her. She prefers the cooler, “tighter” hairstyles that don’t get in the way when you’re dancing, especially the “half-up” which she thinks is a fantastic hairstyle. Berryz Koubou recently did their final Hello!Con performance, and members of the two groups approached the staff with an idea at the last minute before that final concert: they wanted to sing “Ganbacchae!” together. This was the very first song the Kids performed at their very first Hello!Con so they wanted to sing it together one last time, and the staff were able to make it happen. Nacky felt especially moved hearing their own, still very child-like voices in the background as they sang together. The members stayed in the same hotel between the last two Osaka concerts, so they got together and watched old concert clips from back when they were maybe half the size of their seniors, jumping around completely off-beat without a care in the world, singing the wrong lyrics. Now they suddenly find themselves in a position where they’re in fact the oldest members of Hello! Project, something that really makes Nacky recognize how long °C-ute and Berryz Koubou have worked alongside each other. Replacing BZS1422 this week — as well as for the rest of March — will be Country Girls no Tadaima Radio Kenshuuchuu!! Yamaki explains that whether or not the show continues beyond these initial three episodes will be up to the listeners’ feedback. The members all agree that this is a scary thought. So what sort of a group is Country Girls? Present in the studio today, however, are the other five members who take turns in introducing themselves. Ozeki Mai names the violin as her special skill, but how well can she actually play it? Well, she says she’s been playing it for nine years so far (since the age of four) so she does have some confidence in it. When asked if there are any songs she can play especially well, she answers “Twinkle, Twinkle, Little Star.” Still, if she’s allowed to consult some musical notes, she can play more difficult pieces as well. 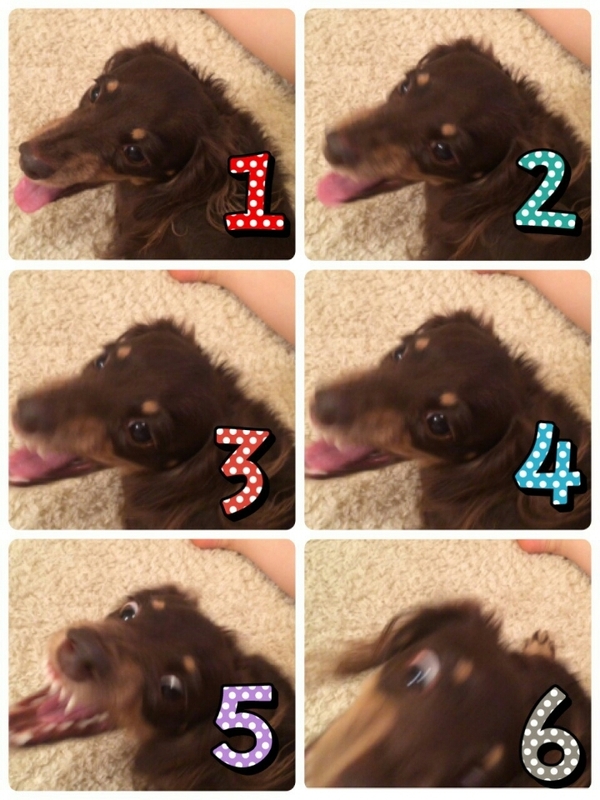 You can see how Uta’s pet dog, Popo-chan, really loves her.